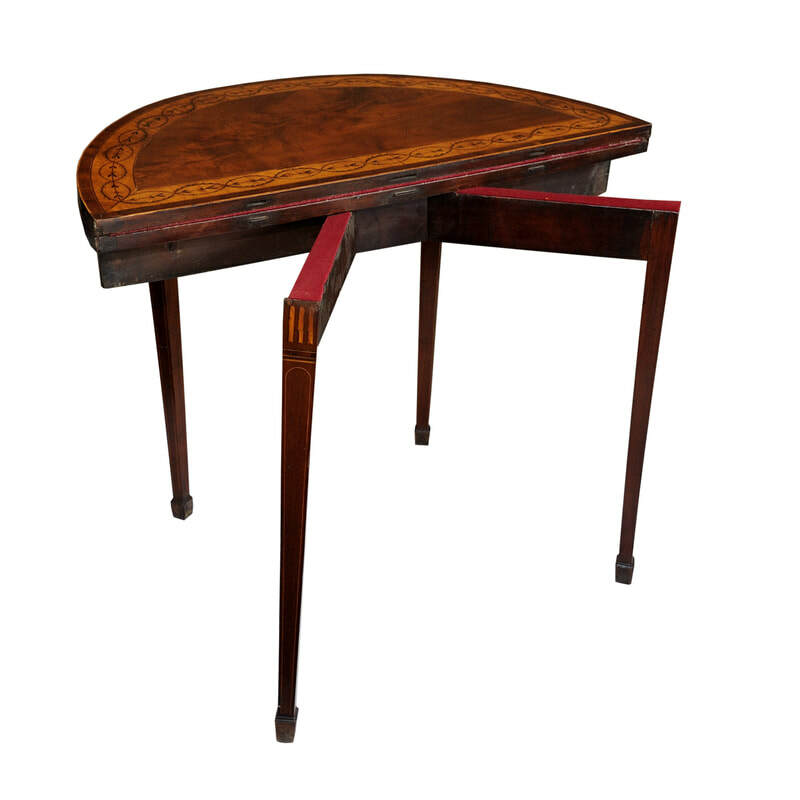 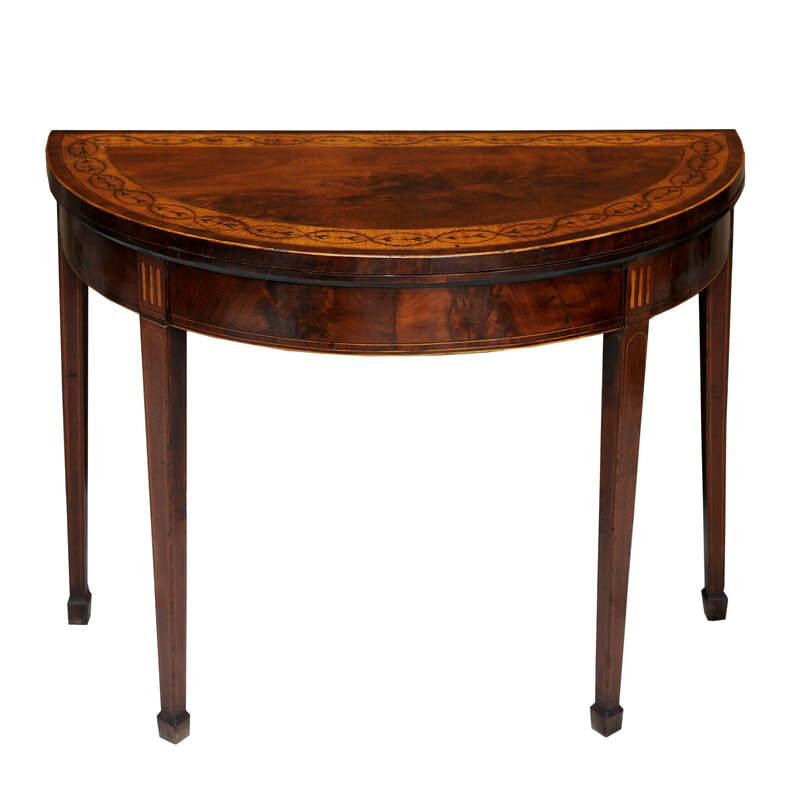 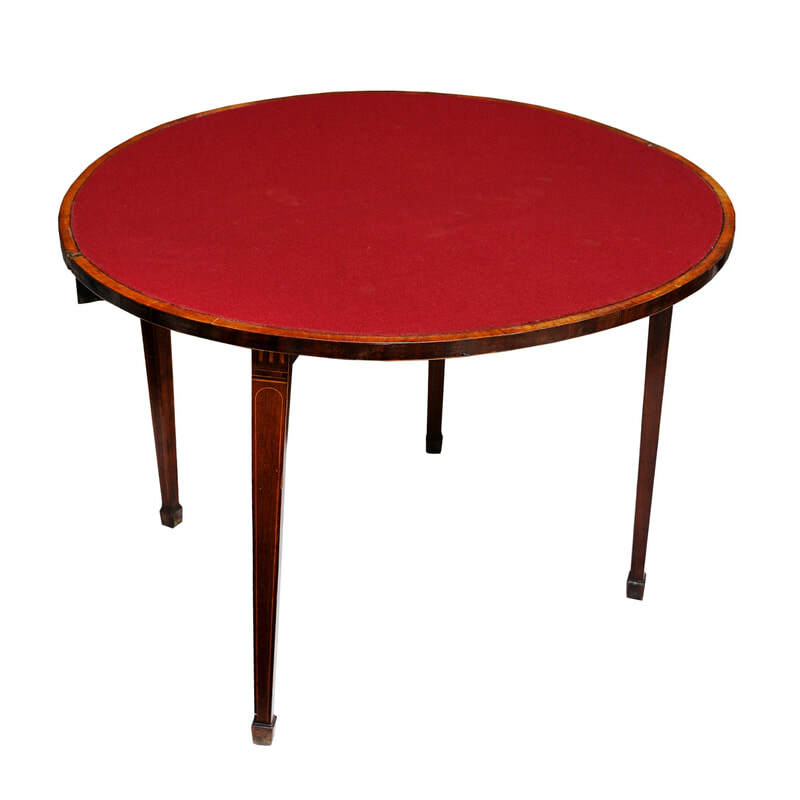 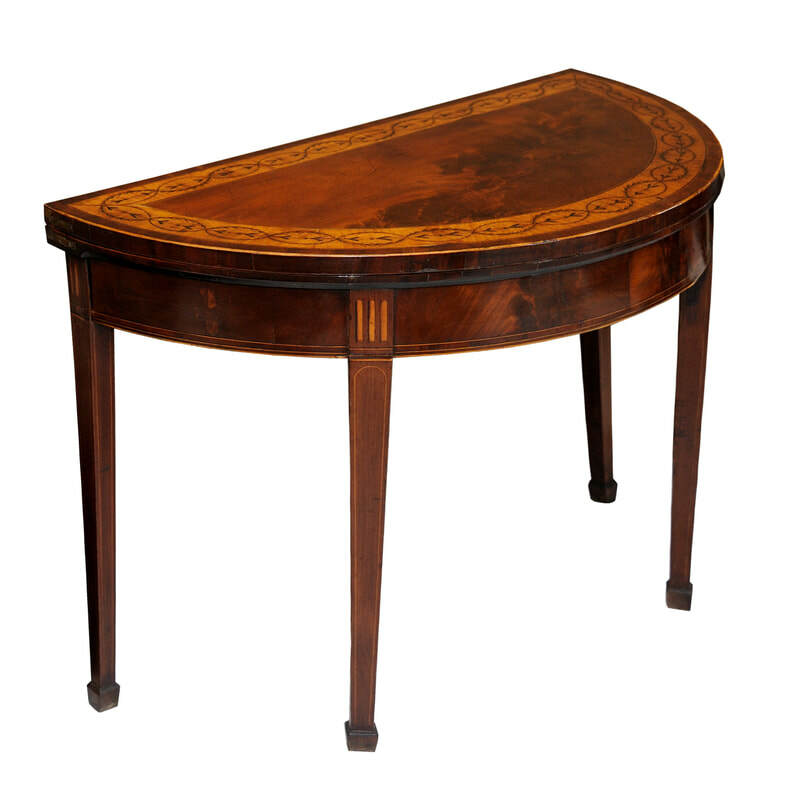 ​A late 18th Century English George III mahogany Demi Lune Card Table, in the manner of Seddon. 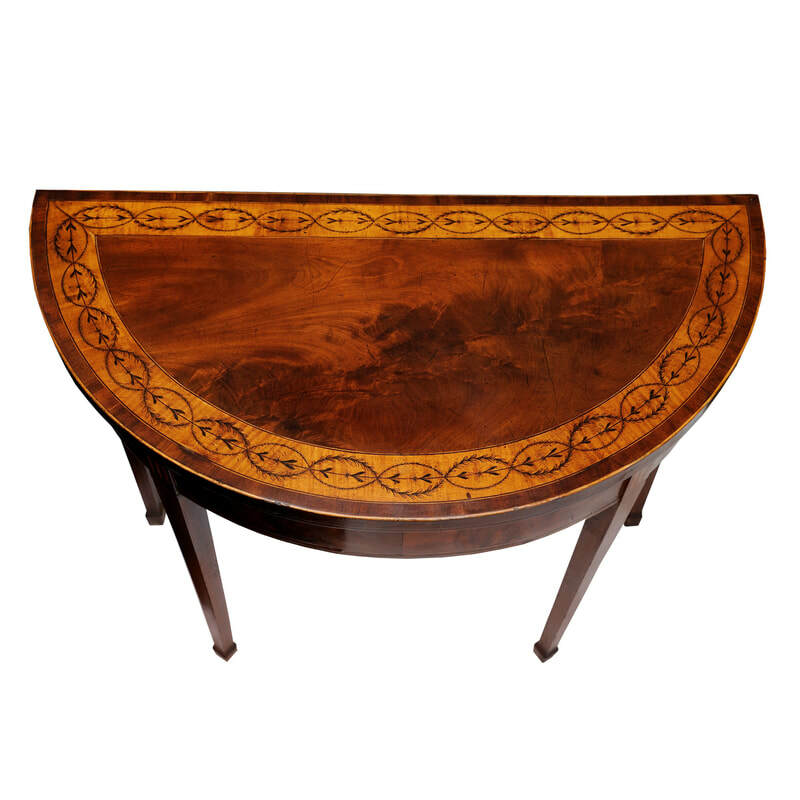 The top with satin wood band, decorated with pen work scrolling leaf pattern. 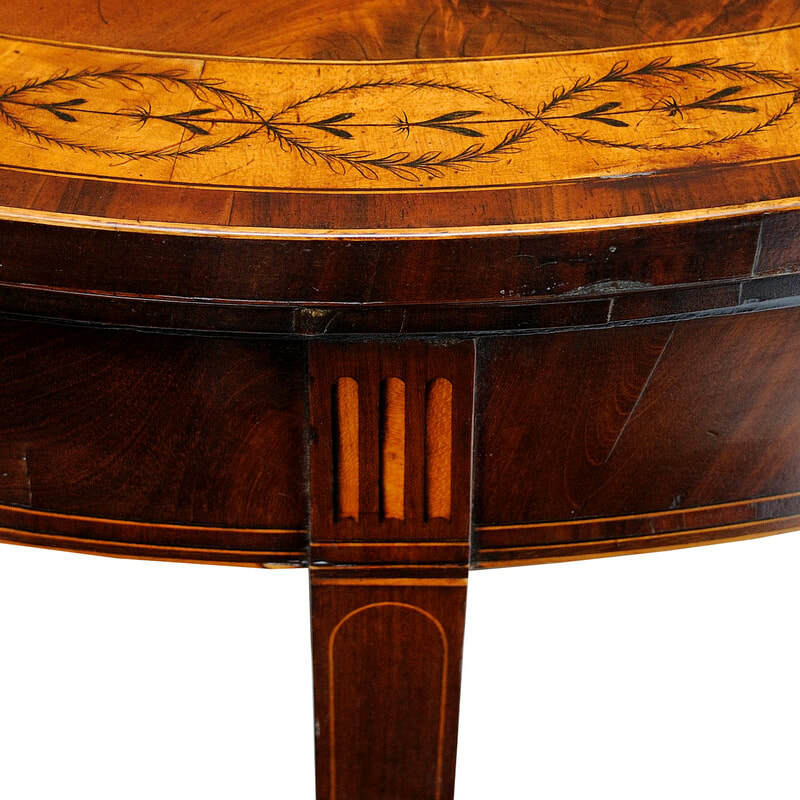 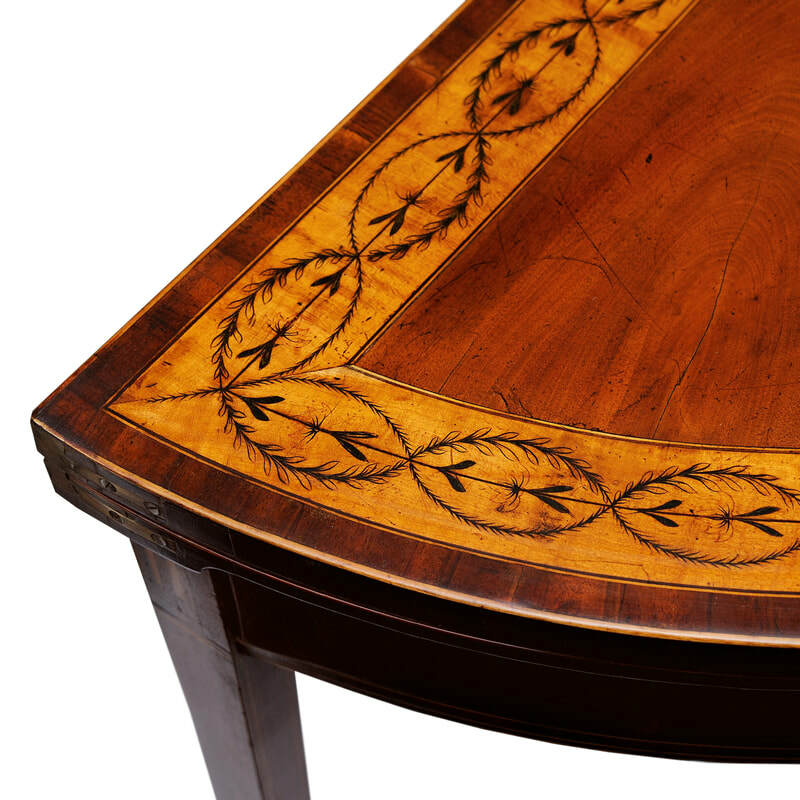 The freize and legs having inlaid panels and faux fluting in box wood, circa 1790.